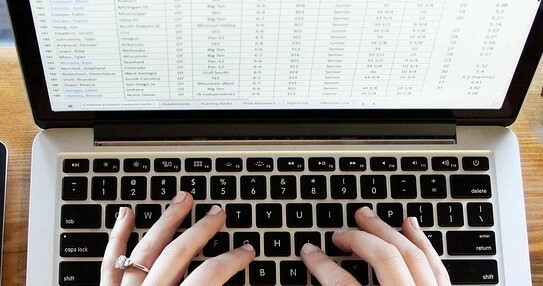 Learn Excel Online: Which Online Courses Are Available for Beginners and Advanced Learners? Excel online classes are available from many different providers. We'll show you the most important training courses and YouTube tutorials for the Microsoft software! Excel is legendary as spreadsheet software for everyone. The program is part of the Microsoft Office suite (along with Word, PowerPoint, and other applications). Office is used by more than 1 billion users worldwide. Since its possible field of applications is extremely diverse, Excel skills are always valuable. So which professional online courses are available to help me get those Excel skills? Below, we explore the two most important ways to master Excel with a self-learning course on the internet. We explain the two options and their differences below. We omit simple text instructions since they are less suitable for a comprehensive learning project. What should you watch out for when learning Excel? The Excel version: There are Excel versions 2007 / 2010 / 2013 and 2016, each with unique differences. Ideally you will learn from a course designed for your version (even if the fundamental concepts are the same for all variants). You can find your installed version under "File - Account" or "File - Help". Practice yourself: Do not passively watch the video lessons or tutorials. Your Excel program should always be open, so that you can follow all exercises. Learn by doing! Shortcuts: Instead of awkward mouse clicks, Excel offers very efficient keyboard shortcuts that make work go three times faster. Learn these shortcuts right away because they will save you a lot of time in the long run! Certificates: If you want to document your Excel skills in job applications, look at the online courses that offer certificates. They usually aren't free, but you will receive proof of your certification. Quickly clarify questions: Many questions and technical problems have already been answered many times in discussion forums. Just look at the huge Microsoft support forum! As a beginner, you can get a first impression of Excel with video lessons on YouTube. Since this is free, you can have a look without any obligation. However, if you want to invest more time in a professional learning course (with certificate), you may find better learning opportunities elsewhere. Excel Basics Playlist, showing 25 basic video lessons for beginners. Excel 2013 Tutorials for Beginners, one of the most popular tutorial series. Highline Excel 2016, which shows how to use the 2016 version of Excel. The course sequence has a professional structure, and optional certificates can often be purchased. Course providers range from universities and companies (e.g. PwC or Microsoft) to individual IT trainers. In these courses, you will learn Excel as a beginner. You don´t need any prior knowledge. All that is required is a basic handling of your PC or laptop (open and save files). Shortcuts: even beginners should learn them right from the start! Who Can Take Excel Online Courses? Students: Excel is indispensable for many business, natural science, and social science university subjects. From simple calculations to complex spreadsheets, data can be processed with little effort. For job applications and in later professional life, Excel skills are a valuable asset. Office Workers: Almost every modern business works with Microsoft Office programs today. Depending on the business activities, not only spreadsheets, but also word processing and presentation skills are required. Anyone can learn all of these skills online. Managers: In business matters, Excel is often used for calculations and analysis. This includes accounting, financial planning, valuation and business intelligence. Also, the visualization of data is becoming more and more important. Therefore, every manager should have at least some basic knowledge of the spreadsheet software. Programmers: Even if most software developers don't work with VBA, each programmer should be able to master the basics of this widely-used calculation program. 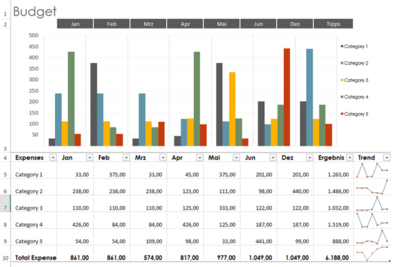 Excel often plays a role due to interfaces with other software applications. Scientists: Data analysis in almost all sciences (for example, statistical correlations) can be represented with the Microsoft software. Understanding the program, therefore, enables fast and efficient work in a scientific context. You can search 8,000+ MOOCs and other online courses from 22 subject areas in our directory. All Excel online courses can be searched here. Are you interested in online learning? You can order our newsletter here. And follow us on Facebook and Twitter now!